V2558. 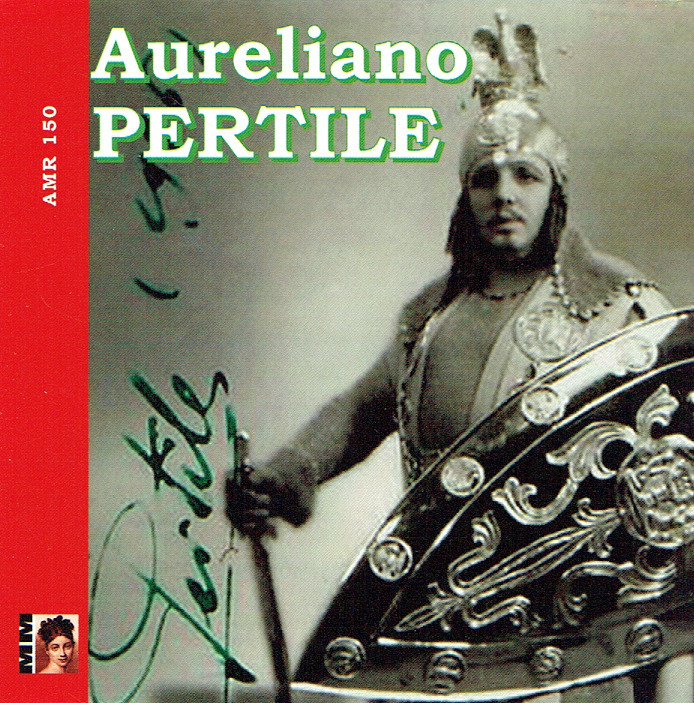 AURELIANO PERTILE: Columbia disks, incl. 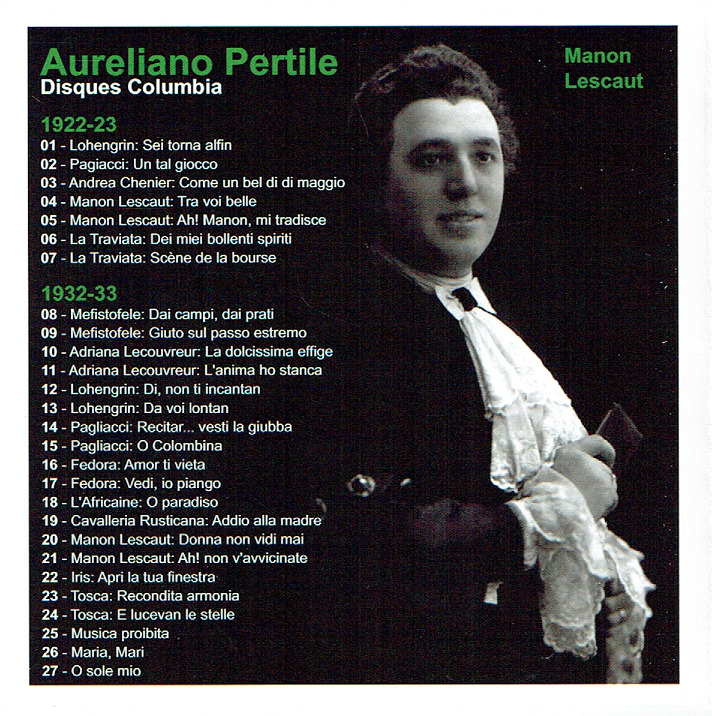 Musica proibita; Maria, Mari; O sole mio; Arias from Lohengrin, Fedora, Andrea Chénier, Manon Lescaut, Pagliacci, Cavalleria, Iris, Tosca, Mefistofele, Adriana Lecouvreur, L’Africana & La Traviata. (France) Malibran 150, recorded 1922-33. "At La Scala Pertile became Toscanini's favorite tenor (after Caruso and long before Jan Peerce in New York), singing almost everything from LUCIA and IL TROVATORE to I MAESTRI CANTORI (the Italian rendering of DIE MEISTERSINGER) under his direction; he created the title roles in the NERONEs of Boito (in 1924) and Mascagni (in 1935). In December of 1923, although Gatti had the tenors Miguel Fleta, Beniamino Gigli, Giacomo Lauri-Volpi, and Giovanni Martinelli on his roster, with some touch of regret he must have read this message from one of his Italian agents: 'As you will read in the papers La Scala has become il teatro 'PERTILE'. All the operas are sung by him, the only tenor! His recordings reveal a very present nobility of spirit. Moreover, his attention to binding notes together into an unimpeachable legato placed him among the greats. "